One of my recent discovery of authentic Indian dish named pani puri, can't stop having them! 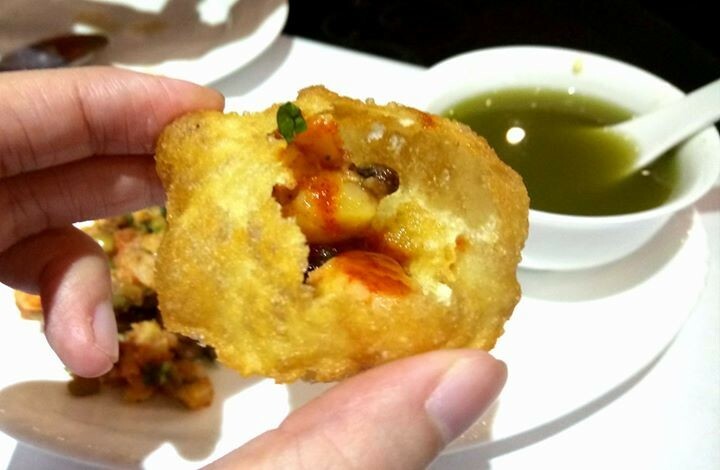 Crispy hollow pastry ball is stuffed with cooked potatoes with chickpeas, then filled with tamarind juice and spiced water. Let it burst in your mouth with one bite! Even though my Indian friend makes better ones, WTF - What Tasty Food serves them too! It would be great if the pastry ball didn't leak, hahaha.